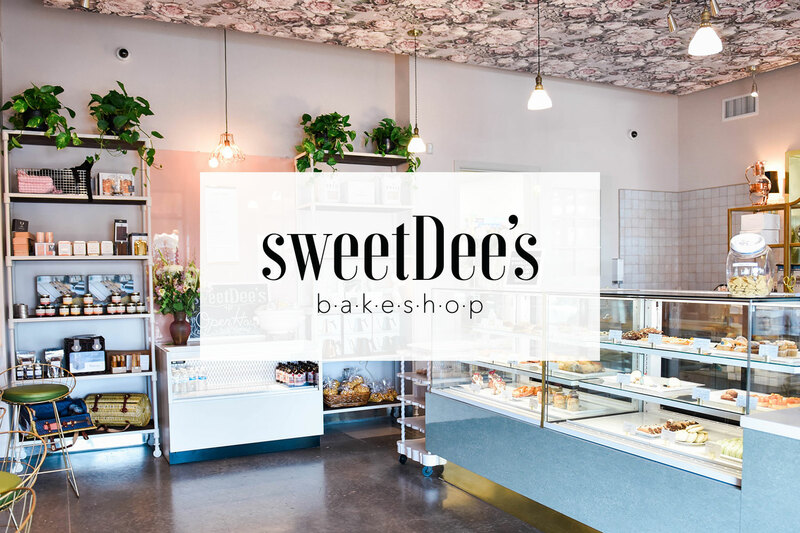 A beautiful French inspired bakeshop with a contemporary feel, Sweet Dee’s greets you with an entire pastry case full of treats that mimic the design and feel of this bakery. 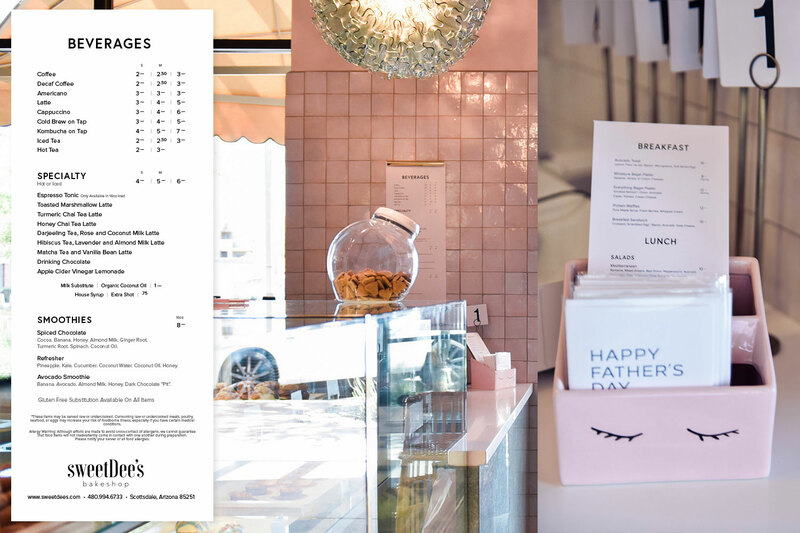 Working directly with Hayes Architecture and the owners of sweetDee’s, we translated their unique physical bakeshop design into a logo and basic graphic identity that would support their vision. After the initial project, we worked to apply that brand across other assets: website, business cards, menus, hot & cold cups, and various other applications. 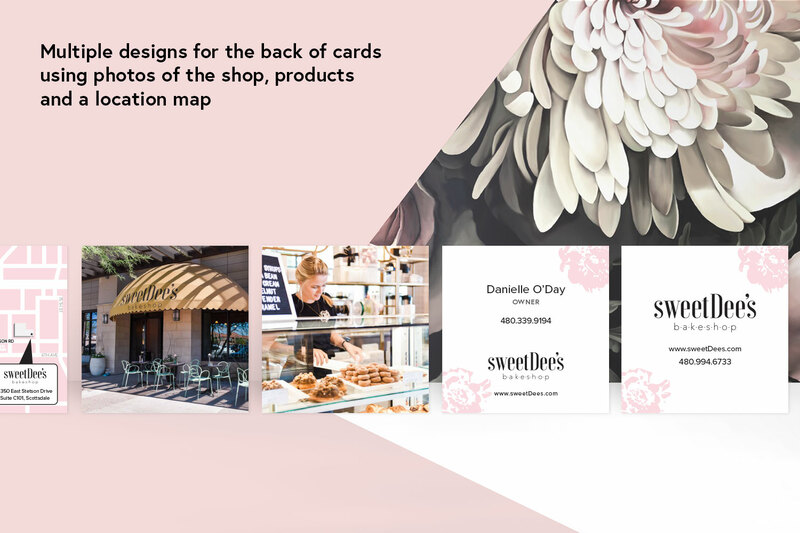 To showcase as much of the bakeshop as possible, the back of these cards are all different showcasing products, the shop, and a location map. The client wanted their customers to have a friendly and intimate experience with the shop and this continued with decisions on the design of the menu. We landed on a crisp stark design that encourages customers to get close and talk to team members and engage personally, versus standing back and looking above at large impersonal signage. 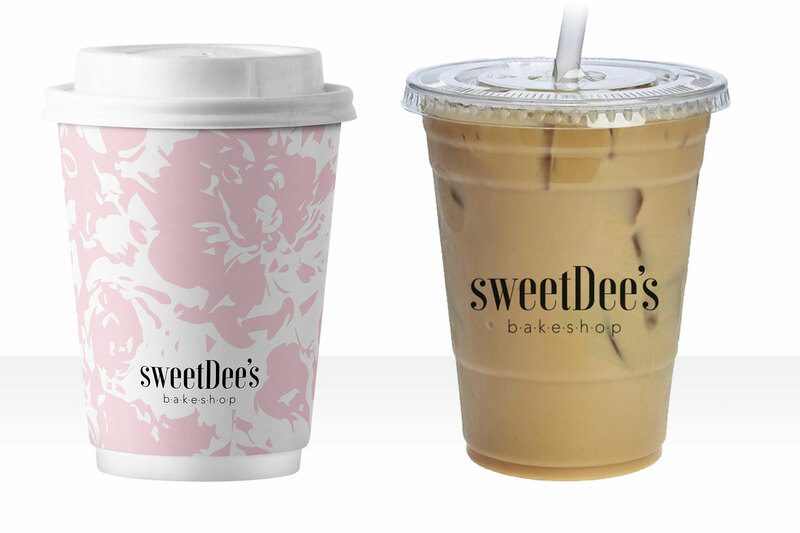 The floral motif acts as a walking advertisement for the bakeshop when people leave with these hot & cold beverage cups. 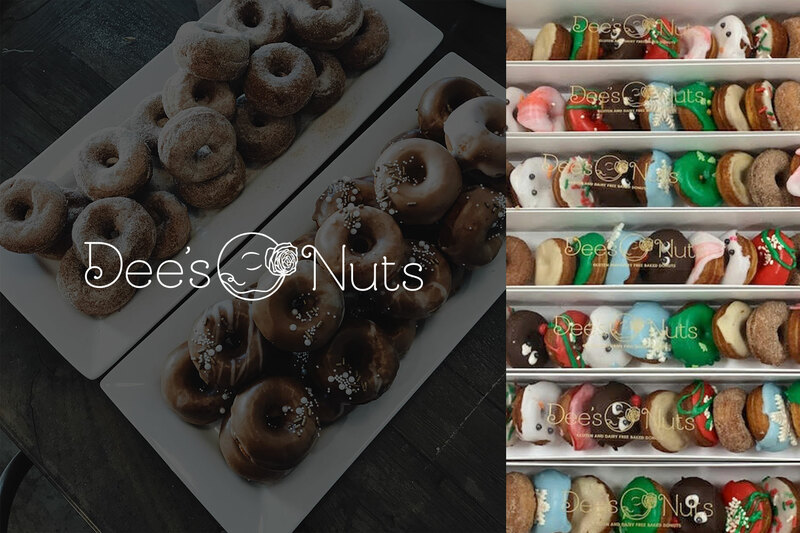 A custom logo for this unique line of sweet treats that are both gluten and dairy free.